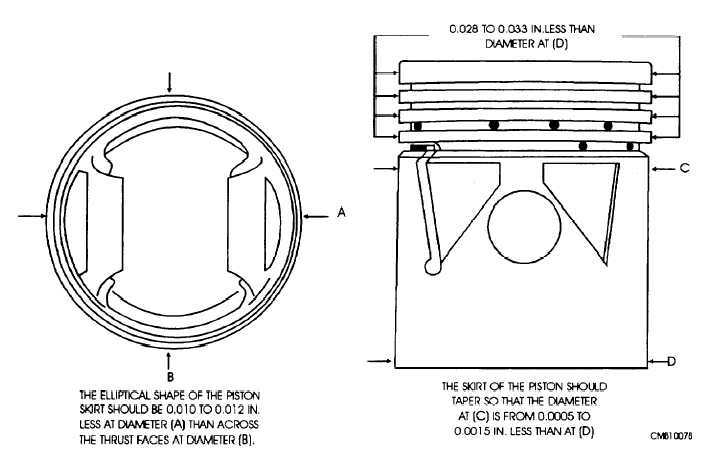 Home > Construction Training Manuals > Construction Mechanic Basic > Figure 3-26.Cam-Ground Piston Action. Figure 3-26. - Cam-ground piston action. Lightens the piston, which, in turn, increases the speed range of the engine. Reduces the contact area with the cylinder wall, which reduces friction. Allows the piston to be brought down closer to the crankshaft without interference with its counterweights. Figure 3-27. - Cam-ground piston.